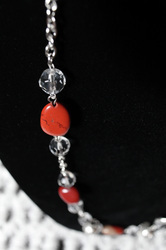 Special or custom orders are available. 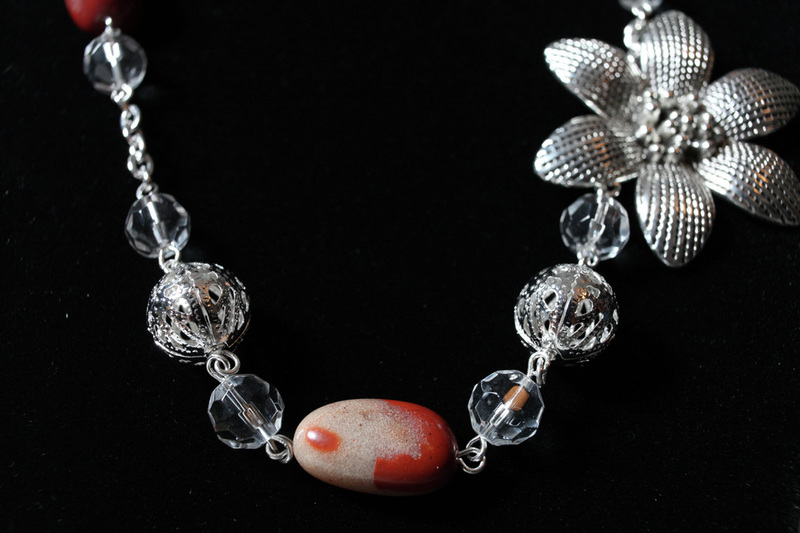 We can work with you to create any design you see from our collection in different colours or work with you to create a design that you have in mind. Getting married? Let us design and create beautiful custom bridal pieces for your special day. 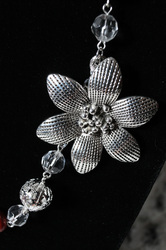 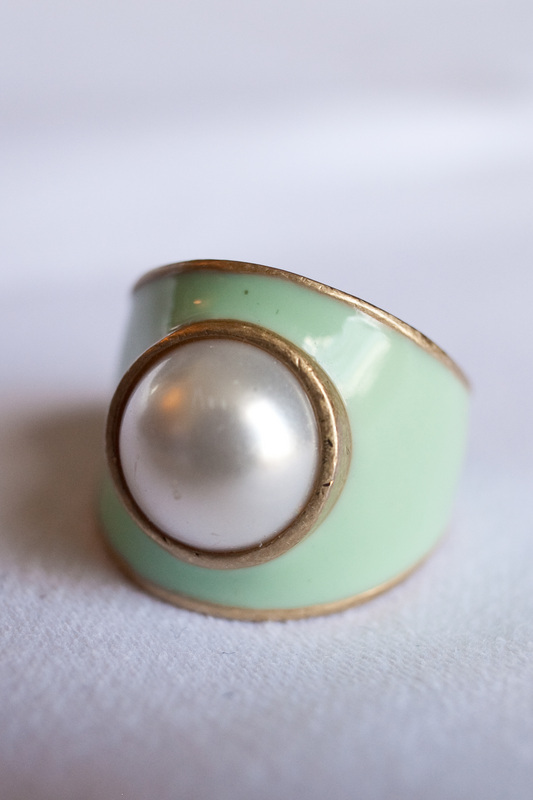 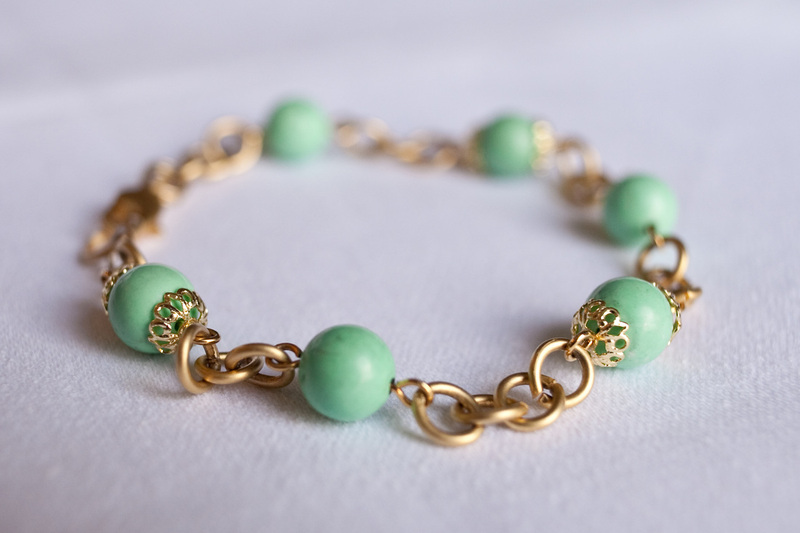 Please see below for some examples of custom jewellery that we have created. If you're interested in any of them, we can create similar (but not exact) pieces for you. 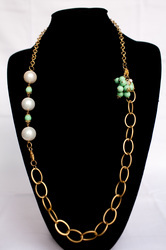 A client requested these custom earrings to match the Bold and Beautiful necklace from the Luscious Collection. 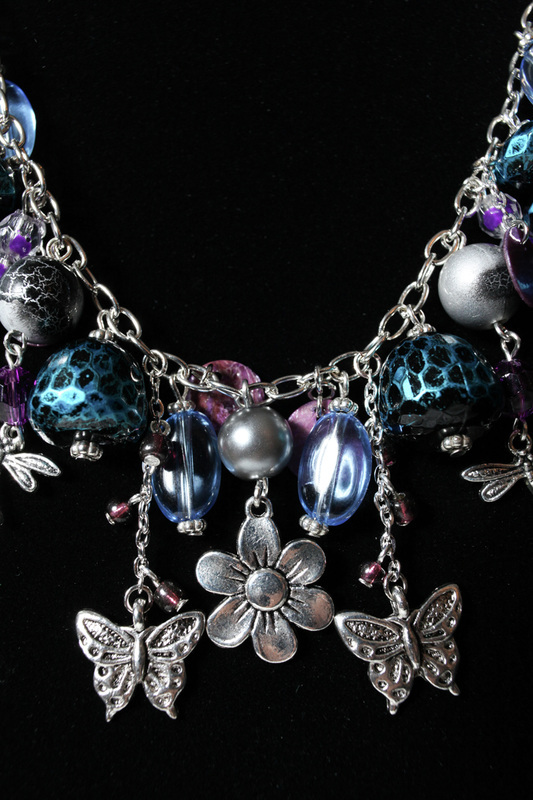 When Bowmanville Artist Carol Kays asked us to design a necklace to match her ring (bottom row, right; not a Luscious Adorns creation), we were thrilled to take on the challenge. 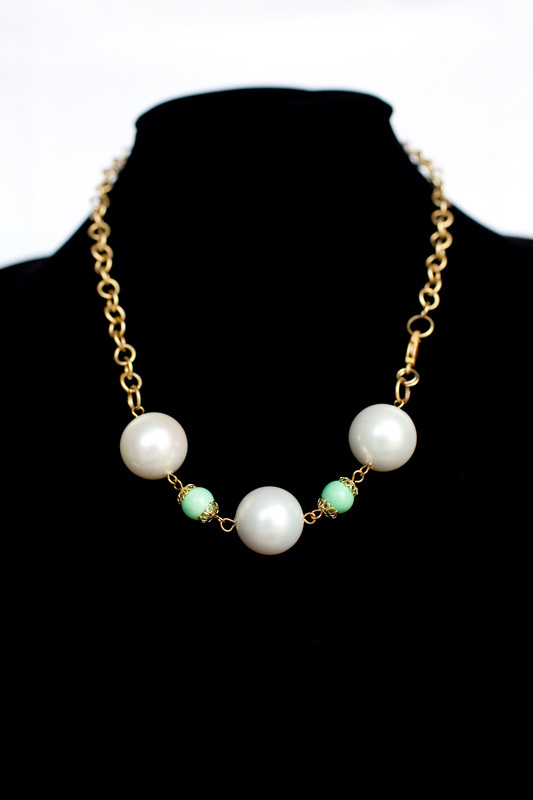 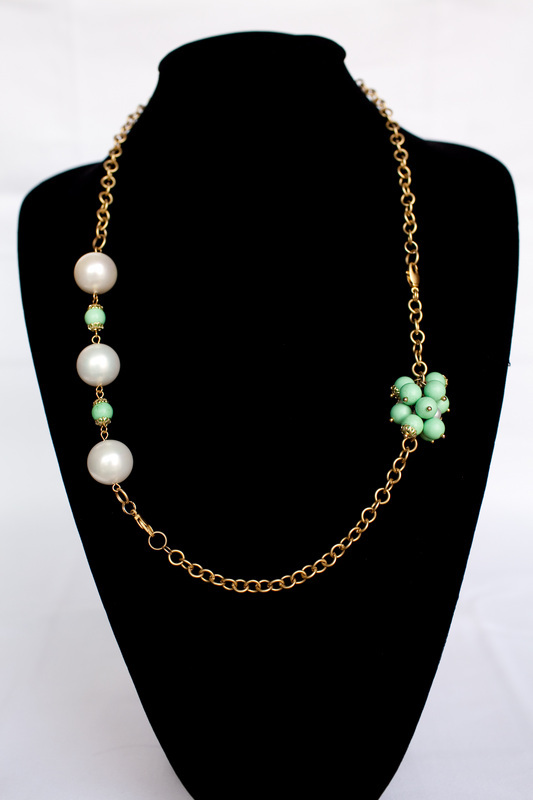 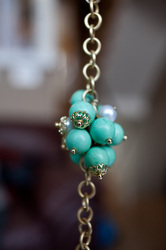 The result was a Luscious Collection-worthy convertible necklace crafted with turquoise, mother of pearl, and Swarovski pearls, set on gold-plated chains. 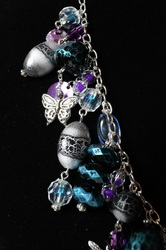 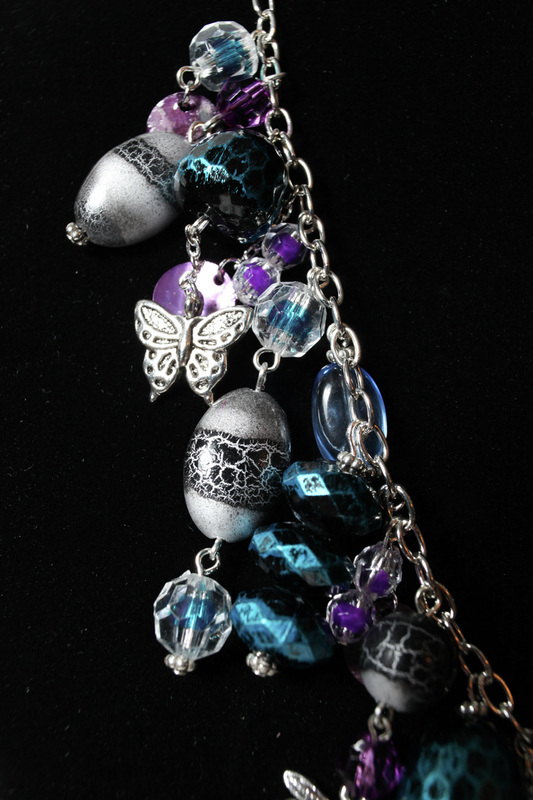 At the request of the client, this necklace is one-of-a-kind and cannot be duplicated. 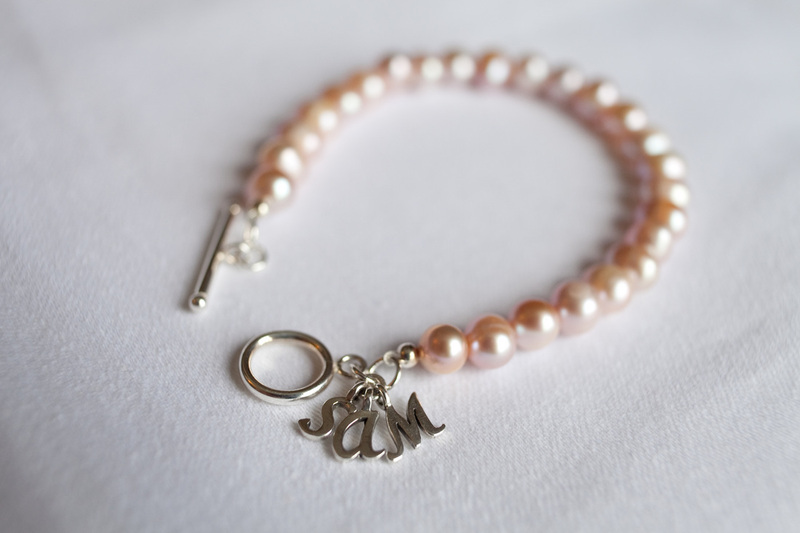 Friendship bracelet crafted with pink cultured pearls bearing the initials of three friends on indiviual charms. 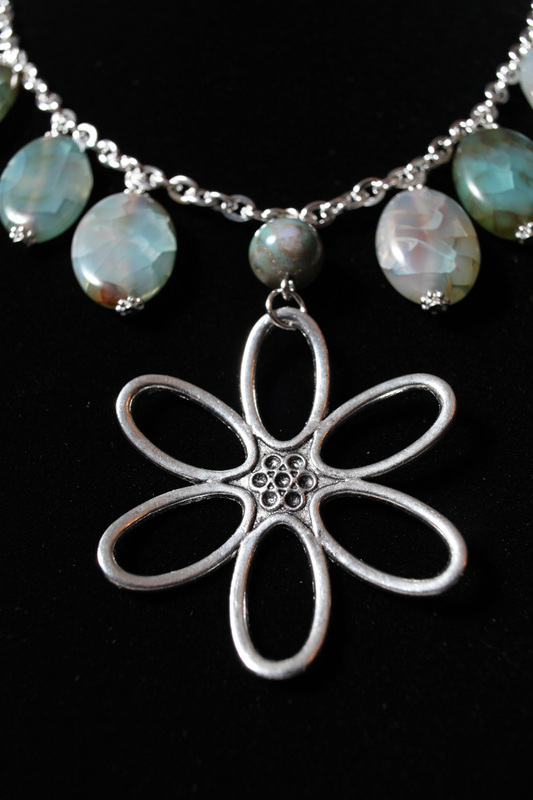 925 Sterling Silver findings.